What an amazing opportunity to have two side by side lots, fenced and ready to go. The unit on one of the lots is large and well kept. 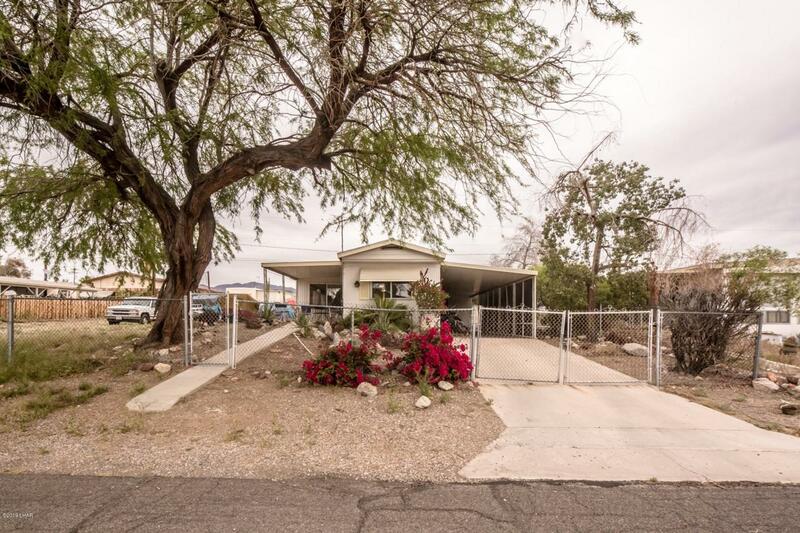 Has an open floorplan, 2 bedrooms and massive bonus area, Wonderful covered patio looks at the gorgeous Mesquite tree, You could build garages or separate and sell the undeveloped lot. The utility room houses the laundry. Perfect get away and convenient to the launch ramp.